Bricks 4 Kidz® camps are a fresh and fun way for kids ages 5-13 to spend their school or holiday break! Guided by our experienced teachers and built around exciting themes like Amusement Parks, Space and Robotics, Mining & Crafting, Superhero, children will enjoy using LEGO® Bricks to build specially designed Bricks 4 Kidz models, play LEGO® bricks games and explore the world of engineering, architecture and animated movie-making. Extreme Expedition Camp – Search the globe for bricks and other resources needed to construct a base in the Himalayan Mountains and complete your extreme brick expedition. Encounter Worst Case Scenario survival challenges, face forces of nature, and construct transportation equipment to bring your team together from around the globe. Movie Making Camp – Kids will learn the art of making their own stop motion videos using LEGO® bricks and mini figures. The kids will get to write, film, direct and produce their own videos and can even star in them if they want. Christmas Camp – Get the kids all geared up for Christmas in this special Christmas themed camp. Kids will build various Christmas themed creations out of LEGO® bricks including Santa Claus himself. Come along and join in the fun…and don’t forget your Christmas spirit! Angry Birdie Camp – Angry Birds is a game about catapaulting birds to knock over structures to earn points. Experience the thrill of Angry Birds by building different birds with LEGO® bricks in this fun camp! Kids will build the birds, launch them through the air, build racing karts for them, and more! Mining & Crafting Camp – Minecraft is a game about placing blocks to build anything you can imagine. Experience the world of Minecraft with LEGO® Bricks! Kids will start by crafting their shelters and some of the mobs, critters and tools using LEGO® Bricks. Students will face new challenges each day, building models and crafting key elements from the popular Minecraft game. 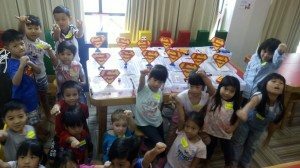 Superhero Camp – Explore all the caped crusaders and discover their super powers. Create a fantasy world and protect it against all the evil arch enemies with custom contraptions made with LEGO® bricks. At the end of the week, all SUPER HERO CAMPERS will go home with a custom mini figure! Remote Control Mania – Kids will love to see their creations in motion using LEGO® wireless remote controls. 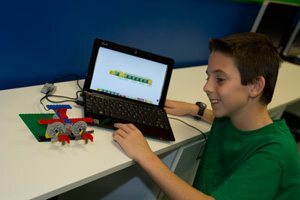 Each day, campers will use fascinating and challenging LEGO® components to create dynamic vehicles, inventions, machines and more. As they enjoy the fun of building, campers will understand the basic working principles of many ingenious devices that are part of our everyday lives. Campers will also learn how to magnify, diminish and redirect force to move objects at different speeds and in different directions. Using specialized LEGO® Technic pieces such as gears, axles, and electric motors, children work in pairs to construct a variety of Bricks 4 Kidz® models, as well as build creations of their own during our free-play periods. Our camps keep the pace fast and the action going with LEGO® Bricks, games and more to ensure kids will have plenty of LEGO® fun! Bricks 4 Kidz® staff are screened previous to employment and provide friendly, qualified guidance for your children.